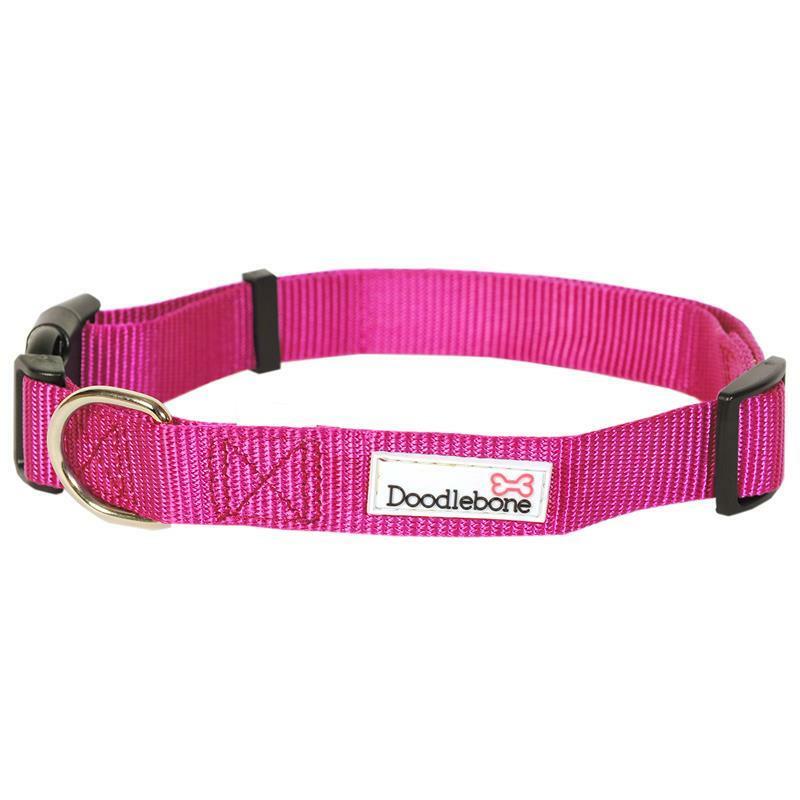 Doodlebone Dog Collar - Bold Pink. Style is at the forefront of every product made at Doodlebone. This smart and durable dog collar is designed in a bold colour so that your dog can sit up and be recognised. The collar is fully adjustable and extremely forgiving around the neck and made using reinforced nylon with a metal D-ring.